The Complete 17 Hour Stencyl Training: Build Games for Any Platform with No Coding Required! 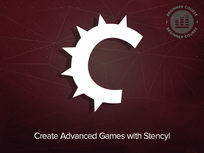 Stencyl is a simply, effective solution for building amazing games for any platform, without writing a line of code. Download the starter version today for free, and take this course to bring your game ideas to the web.